Don't Let Small Spills Turn Into Big Problems! 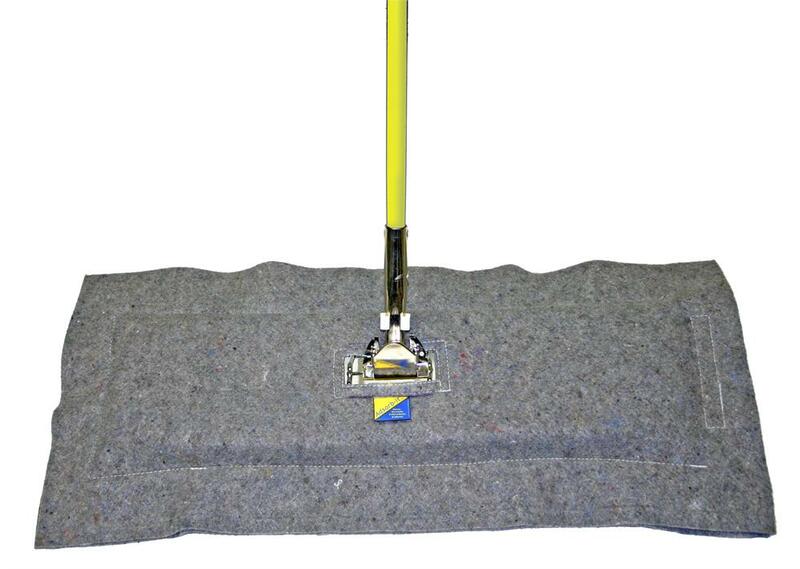 Reusable oil mop to clean up small oil spills on boat decks, shop floors, garage floors, or any areas that would normally require hands-and-knees placement and removal of sorbent pads. A 12" x 30" cover constructed of three layers of the Adsorb-it Filtration Fabric with a Velcro closure - an extra layer on the bottom for wear against hard surfaces. 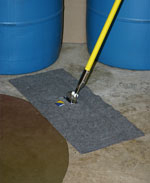 The Oil Sweep is sized to fit a standard 24" dust mop frame. 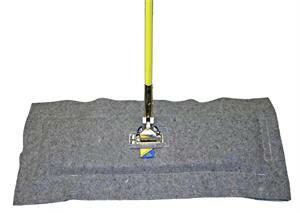 A 24" x 5" dust mop frame, chrome plated, that slips inside the Oil Sweep cover. A 60" fiberglass handle with quick-release attachment hardware and cap on top with opening for hanging. 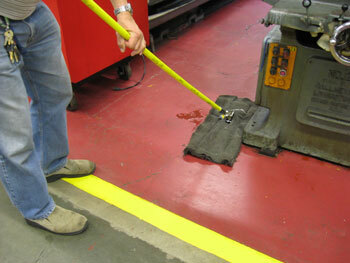 Oil Sweep pictured above used in this shop for over 2 years! Products must be disposed of in compliance with local, state and federal regulations. Since various fluids absorbed may be of toxic or hazardous in nature, Green State Services does not recommend disposal procedures.